"A Timeless Letter from Chopin"
Don't miss the opportunity to open the new facets of the art experience! 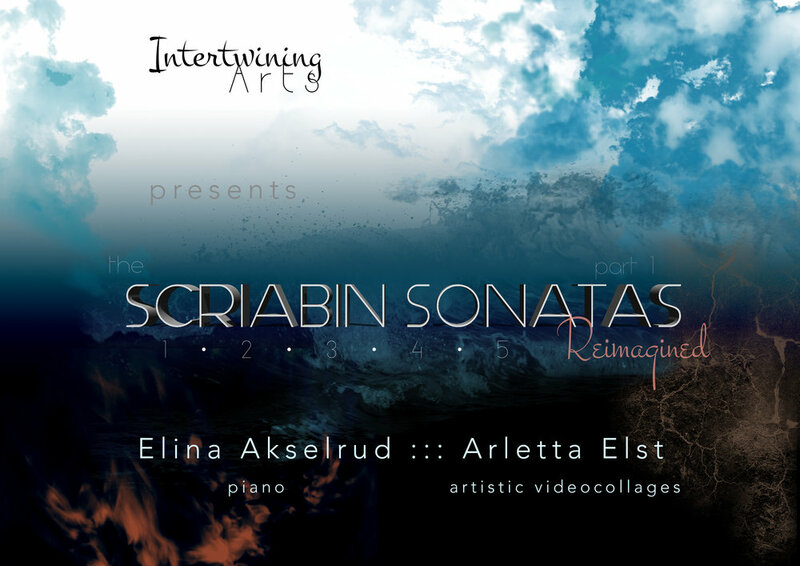 The SCRIABIN SONATAS Reimagined, Part 1: The sound recorded + footage filmed! How are you all doing this summer? 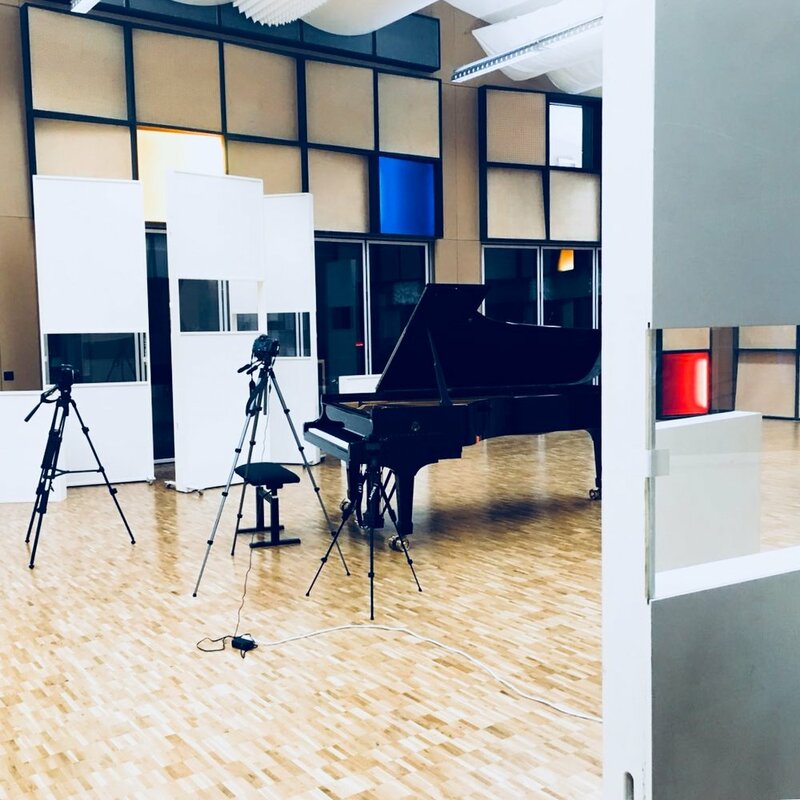 It’s been a while since our last update, but we have been working hard in the studio 🎤🎹 and today we are happy to announce that we have finished the entire filming 🎥 and sound editing 🎧 process of the project “The Scriabin Sonatas Reimagined, Part 1”. A huge thanks to Thomas Gabriel Recording GmbH and Nicole Wanderon for the sound/video work. Next stage: video postproduction 💻, stay tuned for more news! 🎵A Swiss tour in June (four cities). And it's just a small part of the Intertwining Arts team work, the biggest part of which is left behind the scene. We are happy that you were with us all these months and we hope to see you again in the fall!🍁 And what we value most of all is your feedback! If you would like to share your opinion and suggestions with us, please fill a short questionnaire (3-4 mins). We will also be happy to receive your messages by Email, on Facebook and Instagram.📩 The Intertwining Arts team wishes you an unforgettable summer! The cinematic version of "CHOPIN: A Letter through the Parisian Years" was officially released on May 15, 2018 at Hôtel Chopin Grands-Boulevards in Paris, France. Thank you everyone, who spent the evening with us! We had a blast and it was an amazing soirée: a very happy day for all of us to get back together, remember our productive time in Paris two years ago, and finalize our work on the Chopin Project with the release of its cinematic version, which is now available at our YouTube Channel (watch above), along with the Bonus Features (watch below)! It has been a beautiful and persevering three and a half years, from the brainstorming of ideas for the Project till the release of the Film. The photos from the Release Event are available below. We are grateful to all the organizations, friends, and supporters who has helped us along the way. The project is now officially closed. 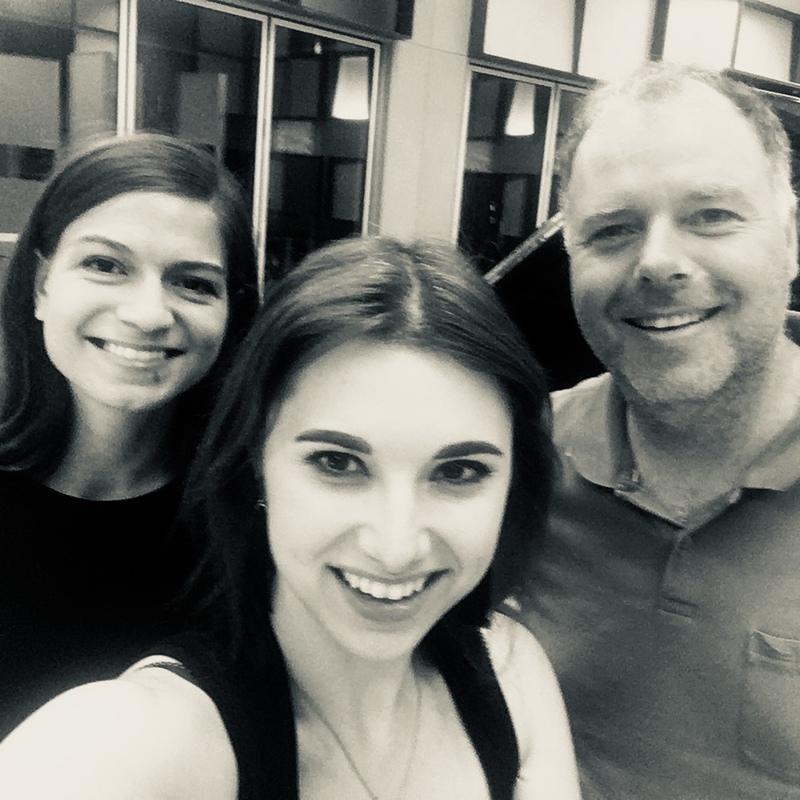 The Intertwining Arts team is excited to announce our new interdisciplinary project "SCRIABIN SONATAS Reimagined, Part I"! The project is a blend of live piano performance of the first five Piano Sonatas by Alexander Scriabin (1872-1915) and a simultaneous projection of artistic video collages, with the Planet Earth and humanity's impact on it as the main subject matter, created by Elina Akselrud (piano) and Arletta Elst (artistic videocollages / projection). It will be performed in four Swiss cities on June 1, 8, 15, and 26, 2018! Have a wonderful spring and we are looking forward to seeing you at our events! I am thrilled to share with you today, on Chopin's Birthday, that the long-awaited release of the Chopin Project's Cinematic Version will happen on May 15, 2018 at 19:00 at the beautiful Hôtel Chopin Grands-Boulevards Paris (46 Passage Jouffroy, Paris 75009, France), which will be very kindly hosting the event! There will be a short introductory live performance, followed by viewing the project film and a cocktail hour at the end! You are invited and the admission is free, however, RSVP is required via Eventbrite. Since we can only have a limited number of guests, please be so kind to reach me personally if you need to cancel your existing reservation. Dress code: Formal/Elegant. Swiss and German Premieres of the Chopin Project! An enormous Danke Schön to everyone who participated in and helped with our Swiss and German performances of the Chopin Project (in Lucerne, Zurich, and Munich)! It was a wonderful time and I am very happy and proud of my team, you guys are the best! A special thank you to our Swiss supporters: Migros Kulturprozent, Kanton Zürich Fachstelle Kultur and our precious sponsor of the German Premiere - Steinway&Sons for making this all possible! Now moving on to the next steps & locations - stay tuned for updates! THANK YOU, MERCI, GRAZIE, DANKE, СПАСИБО, ДЯКУЮ!!! We did it. The premiere of “CHOPIN: A Letter through the Parisian Years” took place on April 1, 2016 at the Foundation of the United States in Paris, France. And nothing would have happened without your tremendous support. We had a full-house in a completely overbooked venue with a live wait-list, nearly 200 occupied seats. People arrived especially for this event from the United States, Germany, Switzerland, the Netherlands, Ukraine, and many places in France. You know, I feel truly lucky and blessed in my life because of the people I am surrounded with. It is a real happiness when those around are so responsive, kind-hearted, and understanding. I am grateful from the bottom of my heart to all of you, who helped us in any way. It would not be possible to create this project without such wonderful people involved. The financial report is available for the donors only, upon request. The prints for the donors will be mailed out this weekend. The DVD will be created over the next few months and I will announce more information on it later on. We are now open to invitations for the future performances of this project. Feel free to throw in ideas! Click here to see the photo album of the Premiere Day! I hope all is well with you and you are quite ready for the coming spring! First of all, today is Chopin’s Birthday (he was born on March 1, 1810) and I would like to remind you that the premiere of “CHOPIN: A LETTER THROUGH THE PARISIAN YEARS” is taking place at the Grand Salon of the Foundation of the United States in Paris, France, on April 1, 2016 at 8:00 pm! The admission is FREE (reservations are recommended through Weezevent). Naturally, I would love to thank all the donors who have supported the Chopin in Paris crowdfunding project campaign! Nathanaël Bez and I have a few updates about our work that we would love to share with you! We have been rehearsing now for a while, and things are unfolding beautifully. I have completed my visual shooting in locations such as Parisian addresses of Chopin (9 Sq d’Orléans, 12 Place Vendôme, the Père Lachaise cemetery), streets of Cité Bergère along with some interior views, a number of others places in Paris and went to Poland (Warsaw and Żelazowa Wola) in order to shoot places of Chopin’s birth and childhood/youth. We are very grateful to the following organizations for collaborating with us: The Foundation of the United States in Paris, Association Chopin à Nohant, The Polish Library in Paris, Hotel Chopin Grands-Boulevards Paris and Friends of Chopin Australia. Without assistance from these institutions it would be impossible to have anything done. We have a list of good news: first of all the Foundation of the United States is lending us their projector for the visuals completely free of charge, in addition to letting us use the venue for free! The next great news is that Ed Akselrud is now our projection technician and video manager, who will be flying over to Paris from New York City at the end of March to join us for the DVD filming, and all the projection work! We also gained a visual effects assistant Shahin Alirkan, who is working on the compositing of the entire visual part, as well as helping with additional film shooting! He is also based in New York and works with us long-distance. However, this is not all: Iryna Kyshliaruk, a very prominent Ukrainian soprano currently based in Paris and Leipzig, will be performing one of Chopin’s songs with us on stage! And our newest team member is the Parisian lighting director Lionel Harkas, Sono Concept, who will create magic with colors, lights, and shadows! It is incredibly exciting to be working together with such unique and talented artists. It feels very uplifting and inspiring and we CANNOT WAIT to share our work with you! We are also accepting invitations for future performances of this project – if you happen to have ideas or know someone possibly interested in organizing such an event (perhaps as part of a festival), please be in touch!Once more, we are very grateful to ALL the donors who are helping us. Every donation means a world to us, really. However, we are still quite far from our goal and the time is going by very quickly… So we do need YOUR support. You can donate to our project at our GoFundMe campaign page and we will make sure to thank you. My warmest greetings with the New Year of 2016! May life bring only joy, inspiration, and prosperity to you and your families! This is a research/performance piece about the Paris years of Frédéric Chopin. This unique event combines at least three art genres: the solo piano performance of Chopin’s music, theatrical readings of his letters and poems by Polish poets of his time, and photographs or short video clips of his Parisian life including his pianos, manuscripts, personal belongings, portraits, routes, and more. However, your help is very much needed for bringing this performance to life! Please check out the link to our Crowdfunding Campaign!